Corporate parties require the best and most committed photographer services, which is one reason our Los Angeles studio takes special care with every large-scale event we document. 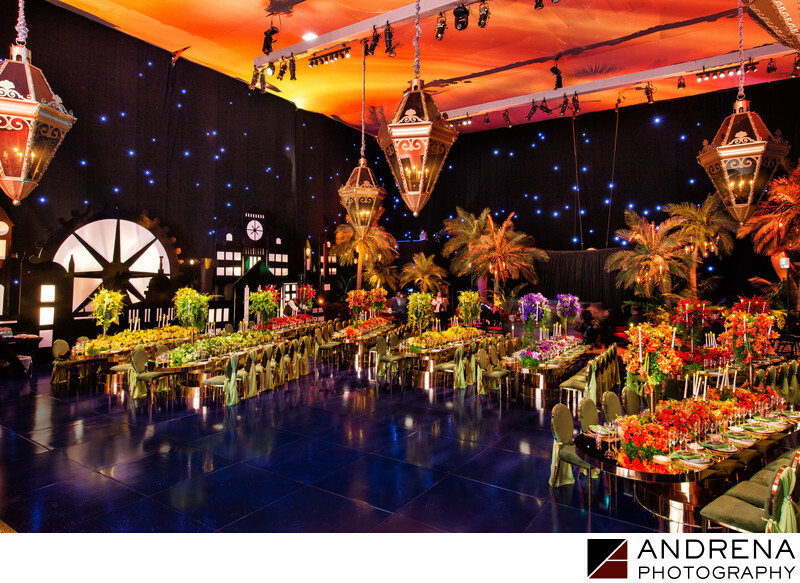 This spectacular Peter Pan themed event took place on a Sony sound stage in Culver City. With design and coordination by Sonia Sharma Events, and decor by Revelry Event Designers, this private event was stunning to behold. A graphic of the London skyline was positioned on one sound stage wall, while projected lights provided the illusion of a nighttime sky. A midnight blue floor was installed underneath projected images that rotated on the ceiling. The overall effect was spectacular, and the guests were thrilled with the effort put into the decor and seating arrangements. Location: 10202 West Washington Blvd., Los Angeles, CA 90232.